Mr. Brantley Caldwell is an Agricultural Education Instructor and FFA Advisor for Crescent High School and Starr-Iva Middle School. He has taught for over 9 years! A colleague had this to say about Mr. Caldwell, "He always lends a helping hand. He educates students with valuable life skills by teaching them what the world is like beyond the walls of the classroom and to appreciate the world around them." "I love being able to work with agriculture and the youth at the same time while educating people about the important industry of agriculture." 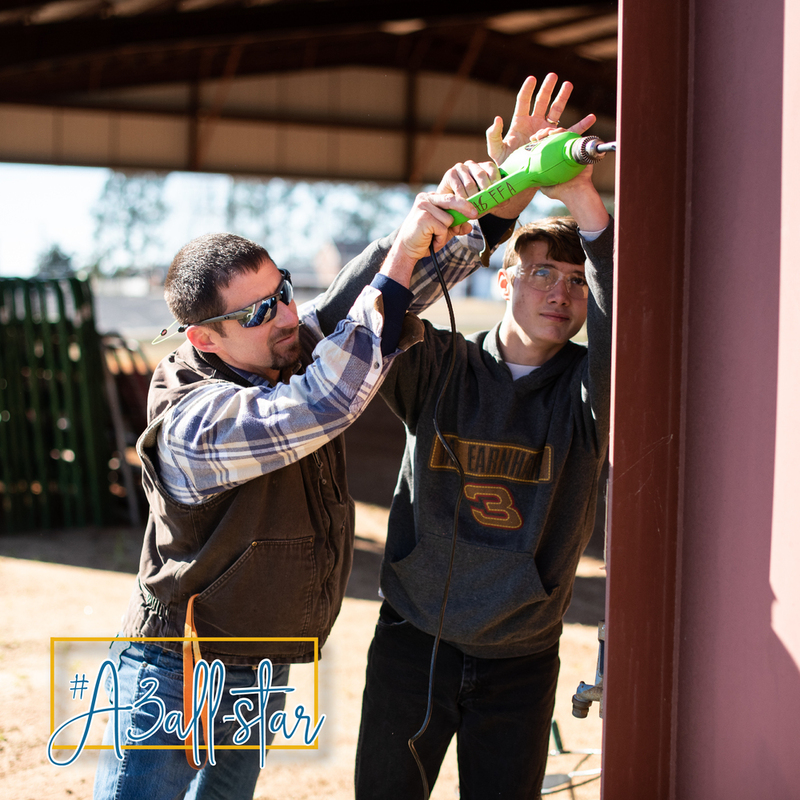 When not at school, Brantley enjoys spending time with his wife and four children on their family 700-acre cattle farm. Aside from farming, they enjoy hunting, fishing, camping, and watching sports. They are also very active in their church, where he serves as the Sunday School Coordinator and as a deacon. Thank you, Mr. Caldwell, for being an #A3AllStar for the students of Crescent and Starr-Iva!